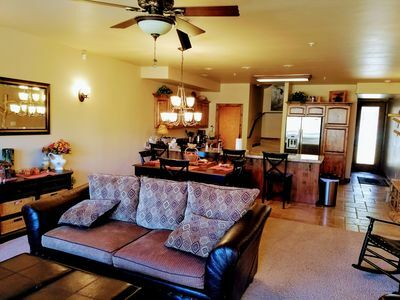 This beautifully remodeled condo is located in the heart of Brian Head, UT. 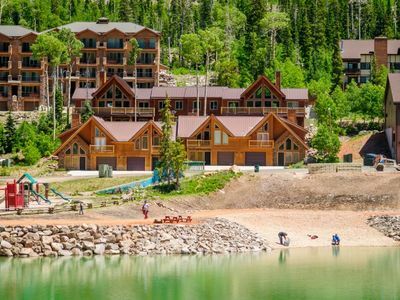 Just steps away from Navajo Ski Lodge where you can ski in and ski out. Brian Head has something to offer for every season. In the winter time, Brian Head is a snow lovers dream. Brian Head offers 8 ski lifts and over 50 ski trails. 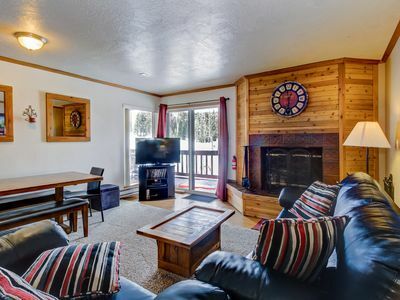 During ski season, a free shuttle runs to and from the condo to ski lifts. 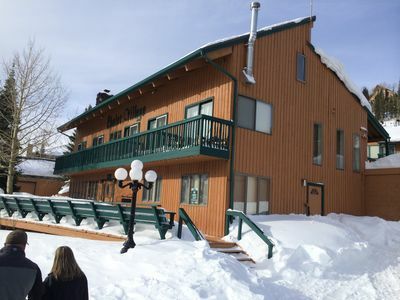 Skiing, snowboarding, snowmobiling , snow tubing and cross country skiing just to mention a few snow activities to enjoy. 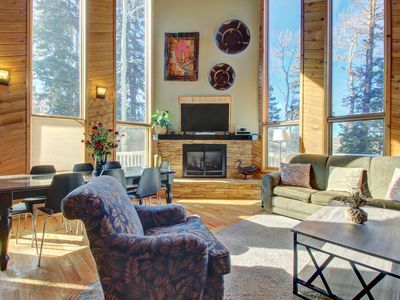 Don't worry, Brian Head offers many activities besides just the winter months: Great hiking trails, ATV trails, concerts, festivals, fishing, mountain biking plus much more all within steps of this beautiful condo. 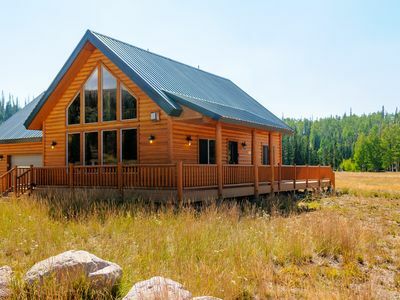 Cedar City is less than a 40 minute drive down the mountain. It's home to the Utah Shakespearean Festival, restaurants, movie theatres, shopping plus more. 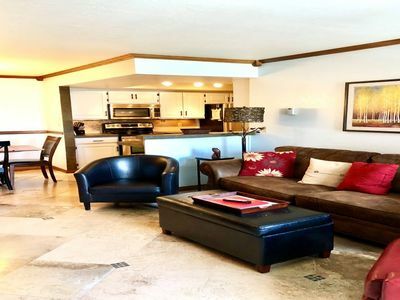 This two bedroom, two bath condo, comes fully furnished for the perfect getaway. 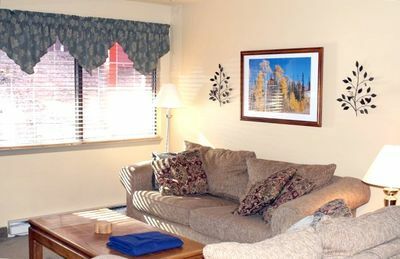 Our goal is for you to feel at home while staying in this beautiful mountain retreat. 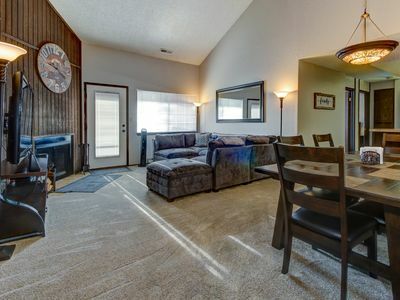 Our condo has everything you will need to have an enjoyable stay. 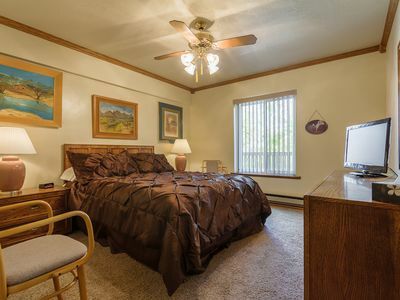 Our condo has two master bedrooms. Master #1 comes with a comfortable king size bed, TV, jetted bathtub/shower combo, blow dryer, shampoo, conditioner and body wash. Master #2 comes well equipped as well with a comfy full size bed, blow dryer, shampoo, conditioner and body wash. 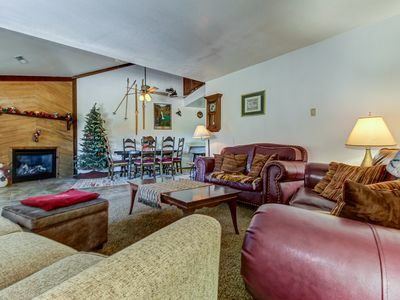 The living room has a hideaway bed couch for two extra people to sleep. You can comfortably sleep 6 in our condo. 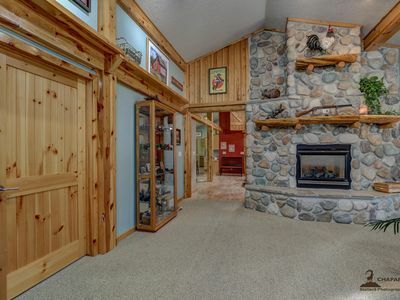 The living room has a gas fireplace and large TV to enjoy. The kitchen comes well equipped with plenty so you can enjoy your stay. Oven, microwave, dishwasher, coffee maker, crock pot, pots and pans, cooking utensils, plates, bowls, mixing bowls, cups, mugs, eating utensils and more. Feel free to bring the kids. Our condo is family friendly. 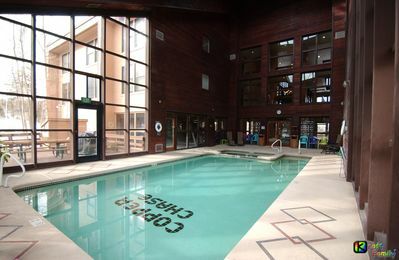 Don't forget your swim suits because there is a heated indoor swimming pool and hot tub on the property! Located next to the pool is an exercise room and sauna. 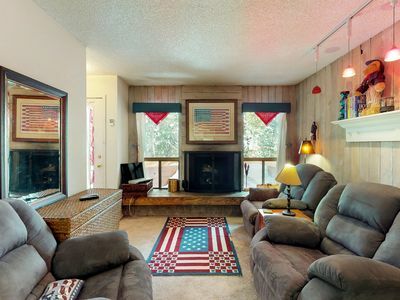 Our condo is fully furnished to ensure an amazing time in this beautiful mountain area. 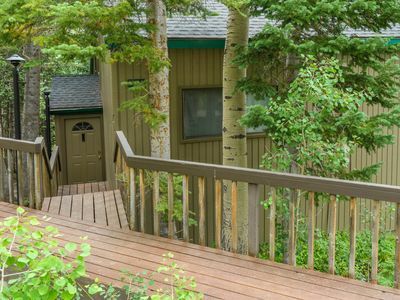 Dog-friendly, cozy condo close to Giant Steps Lift, perfect for a family! 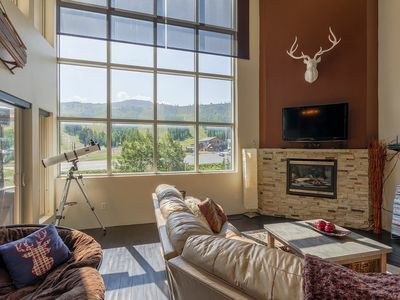 Beautifully decorated ski-in/out, dog-friendly condo with fantastic views! 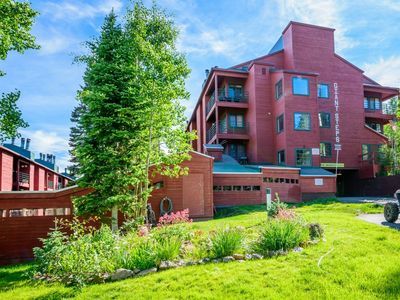 Large two-floor condo near slopes w/shared hot tub & sauna! 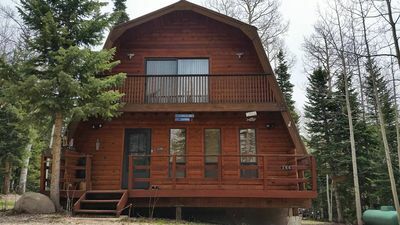 Luxury Ski In Ski Out Condo - WIFI - Great Views ! Best deal in town! Right across from ski lifts. Remodeled 2 story studio loft. 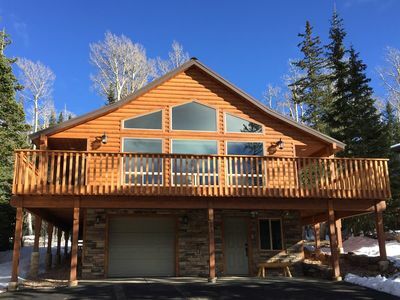 Brian Head Cabin Gem! Walk to Lifts! Built in 2018! NEW LISTING! 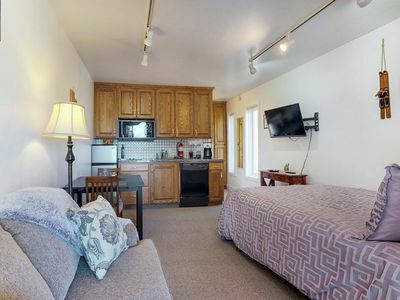 Cozy studio condo near skiing and town - close to everything!